and all the best for 2010! I can tell you that it will def. start well - since Summer already have planned a new release and a sale. So check out the BnW blog tomorrow and I'm sure you are in for a treat! Wishing you all a wonderful 2010 and thank you all for your love and support during 2009! I'm a little bit late with my post for the RoP/BnW Challenge - but I hope you'll like it. I coloured sweet Tilda and Edwin in the Eskimo Kissed colour range - since I wanted them to go with the Winter village behind them. Well - sorry for this quick post - but I need to go and colour some more new images that Summer has in store for you soon. I hope you continue to follow us on our BnW blog - so that you don't miss the fun coming your way soon! Ps. Not that many days left this year - so I hope you all are preparing for your New Years celebration! X-mas to you all that did not get to meet Santa in person yesterday! 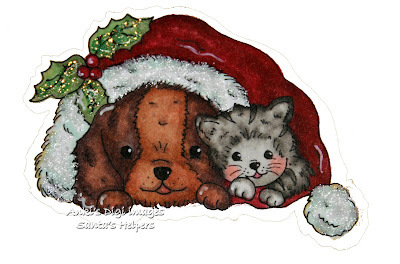 Here's a quick post from me wishing all of my blogfriends and visitors A Very Merry X-mas! Today there's not going to be much action in the house of Bärgman-Margitin family ;-) It's the day when we walk around in our PJs for long, watch a movie or two, eat the left overs from yesterday and of course Isac is playing with all his new toys. There will be too much candy as well.. :-) Well - I just wanted to show you this little card that I made and to mee - she def. looks like candy - doesn't she. Once again - this sweet image was sent to me by my supersweet friend Tammi. Hope you're having a great time with your family! Well - off to heat up our lunch and then I will colour some new images that I've got. Nope - can't show you them yet - but I'm sure you are going to want them all. Kram and have a wonderful, wonderful holiday break! Talking about candy - you know that there are still some chance for you to win some. The only thing you need to do is to pop over to our BnW blog. 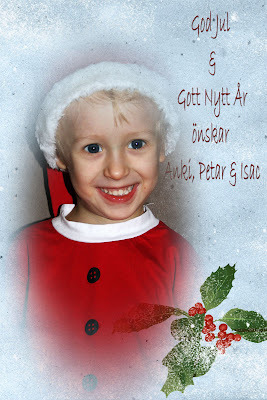 So from me and my family - a Very Merry X-mas and all the best to you all for 2010! I'm so happy to have get to know you and to be a part of the wonderful BnW DT team! for you - the day before X-mas Eve! Here in Sweden Santa arrives in person and hand out the gifts to the ones that been good :-) So Isac is waiting for the big day tomorrow. However we will be giving gifts today as well - since it's hubby's b'day! Congratulations and we love ya!! I guess he is waiting for his gifts. Therefore I keep this post short. Have fun and remember - X-mas is about sharing and being together - so don't stress! and are you all ready?? Why is it that X-mas seems so far away and then the last few days - you don't have enough hours? Sigh..... but it's a lot of fun as well. Here we've had between minus 15 to minus 19 Celsius for some days. I love it!! I so much prefer the dry and cold air - than rain, wind and grey days. I do so hope that the snow stays for X-mas - it really helps to get into the right X-mas mood - don't you agree?? Just look at the pic above that hubby took the other day. 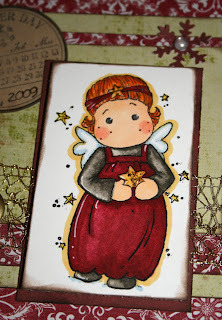 I also just wanted to show you this small X-mas card in the non-traditional colours that I made earlier. Thank you Tammi for sending me this cutie - she was so fun to colour and of course - can't get enough of those Eskimo DPs either...hihi........ Marlene - a huge thank you for the flowers - they were perfect! Also - Today it's my Mom's b'day - so Happy b'day to the best Mom and Grandma in the world!!! What would we do without you? Love ya! Winner - box it up! We've got some snow here now and it's really, really cold outside. 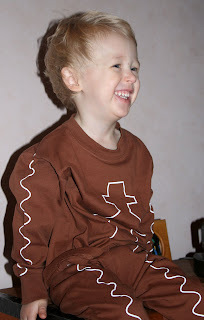 So our sweet son Isac got down with high fever again yesterday evening. We do hope that he will be fine before Santa arrives. Please send me your contact details and a big congratulations Linda! It's time for another TIOT before we go on a small X-mas break. This time Suzanne wants us to "bling it". Well - I wanted to try something new - so I decided to colour 2 Turtle Doves with my copics and create a gift tag of this cute image. Then I added 3d gloss around on the heart and sprinkled tons of glitter (yes - I'm covered in it as well :-). Let it dry for a little bit and then I added the 3d gloss all over the girl. Waited again and then a third layer of 3d gloss. Hope you like it and I do hope that my niece - who will receive this gift tag on one of her X-mas gifts - will like it as well. Also - make sure that you receive what you want from Santa and place your order this week. Susana is going to take a well deserved small holiday break between Dec 23rd - Jan 1st. 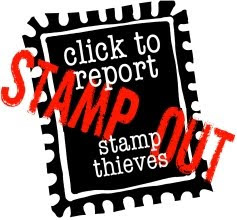 So just to make sure that you get what you want - pop over and place your order now! Kram and I hope to hear from you - even if I know that you all are superbusy with the last minute preparations for the holidays. have one or two hours to join us for a new RoP/BnW challenge. This time it's our sweet Susan hosting the challenge and she want's us to use the colours Cranberry, Hunter Green and Gold. I coloured sweet Tilda with my copics. Added several layers of my "cranberry and hunter green" (very light hunter green ;-) DPs. Added the sentiment - that I've received from my sweet friend Kathy, some snowflakes and the golden ribbon that I got from my sweet friend Tammi. Well - there you have it. It did not take me that long to do - so I really, really hope that you will have the time to play with us. Today we celebrate Lucia all over Sweden. It's a very old tradition and if you want to read all the details - check it out here. Also - each city elects there very own Lucia every year - so for some girls - it's a dream that comes true..
We are going to my parents this morning with some Lucia buns and Ginger bread cookies. Isac and his cousins Rebecka, Victoria and Julia are going to sing some songs for them and bring them the cakes. 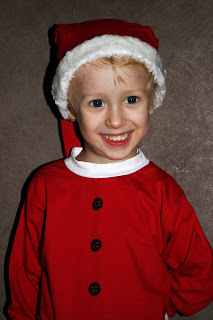 Isac was dressed as Santa when they had the Lucia event at the kindergarten (Friday). Here you have some pics of him from his very first Lucia event - 2007, then he was a Gingerbread boy in 2008 and this year he wanted to be Santa. Well - that's why I thought of Lucia when I saw this cute image - Star of Bethlehem. I coloured them with my copics and used my Basic Grey DPs of course. Went for a clean layout and added Country Elegance Flowers and some extra bling! The white birds in the left corner is a rub-on that I've received. Well - I guess you want the chance to win some more Advent candy - so please pop over to BnW blog and leave your name and link. Looking fwd to read your comments here as well. 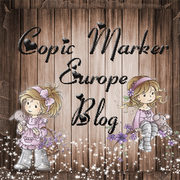 Just a quick note to let you know that I've opened my Etsy shop with the Anki's Digi Illustrations. I am adding more items during the weekend. Hope you will like what you find there. If you have any questions - please let me know. I hope I can answer all of them - but remember - I am very, very new to this - so I am trying to make the set-up as clear as possible. Sorry for keeping this post short - but I also wanted to let you know that I will try to set up my own Etsy shop - offering Anki's Digi images for you. I have a few and plan to release them this weekend (keep your fingers crossed that it will work). Well - I guess it's time to bake the X-mas cookies - unless you've already started. We'll we have already baked our Lucia buns. For those of you that don't know what Lucia - is - it's a Swedish tradition that we celebrate Dec 13th. I promise to tell you more about it on the BnW Advent Calendar Dec 13th ;-) Anyway - here's the pic of the Lucia buns and you will find the recipe here. Now on to the card that I want to show you today. It's baking with Nana. Isn't this the cutest image ever? I so love it. It reminds me of my sweet Grandmother Aina. She and I was very close and all of us loved it when we got the chance to bake with her. She would bake the most delicious cookies. I coloured the image with my copics and yes - as you all know by now - I love, love, love my Eskimo Kisses DPs :-), Added the sentiment from Aud Design, ribbon from stash and a heart charm. How are you ladies? I guess you all are superbusy with the preparations for X-mas. TIOT for you - just to make sure that you get a break from all the things on your "to-do-list". 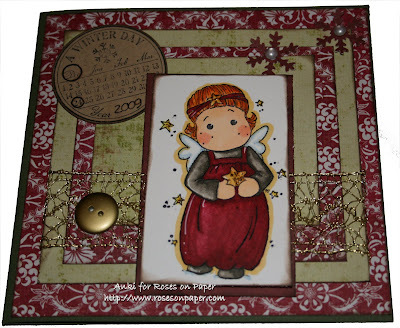 This time we want you to show us a card with a special fold - using one of the new E Bell stamps for SCACD. Well - I decided to just play and see what I could come up with and hm...not sure what to call this fold - but it has to be Anki's Special...hihi..... I cut my cardstock into 6 x 6 and fold it. Then I cut almost half of the front off. Added some layers of Basic Grey DP and cut the window with my punch. Added ribbon and acetate sheet for the window. Coloured sweet Atlantia with my copics and added stickles as highlights on some parts. (Therefore the flash reflection - sorry.....). Created a frame around Atlantia (put it on 3d dots), added Bella Baubles instead of nails :-) and then glued the framed picture to an accordian fold so that you can lift the image out of the cardbase and make it stand on your desk. Not really sure on how to describe it - but I hope you understand what I mean. 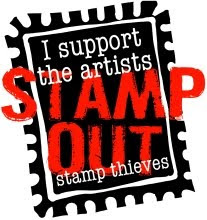 For those of you that don't know it yet - I have made a few digi images for free. The only thing you need to do to get your hands on them - is to respect my copyright and angel policy of course - and then become a member over at Anki's Sweethearts PCP group. Here you have Santa's Helpers! Well - it's X-mas time soon and of course we all love gifts - don't we. 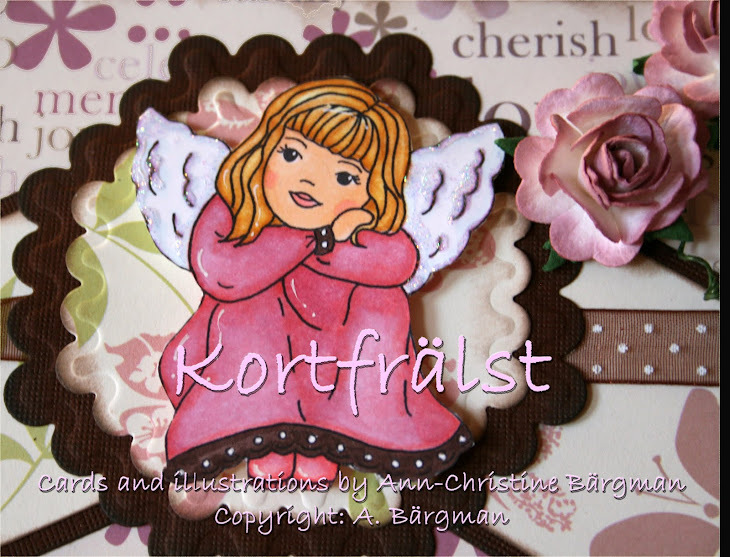 Well - I really needed a break from making X-mas cards - so I decided to make a girly giftbox instead. Coloured the sweet Susan with my copics and altered a pillow box with my June Bug papers. Added a blue ribbon (from SU) around the "flaps" that you fold to close the pillow box- don't know what to call them...hihi....Then I attached some matching Hydrangea flowers and spacers. The box will hold the necklace that you see in the front. Oh and yes - if you leave a comment on my blog and become a follower of my blog and the SCACD blog - then you get the chance to win this necklace and the pillow box. How does that sound to you??? You have until Dec 15th to leave a comment and of course - if you want to - mention this candy on your blog.